I absolutely adore this. No matter what endeavor you choose to pursue, do so with every fiber of your being. 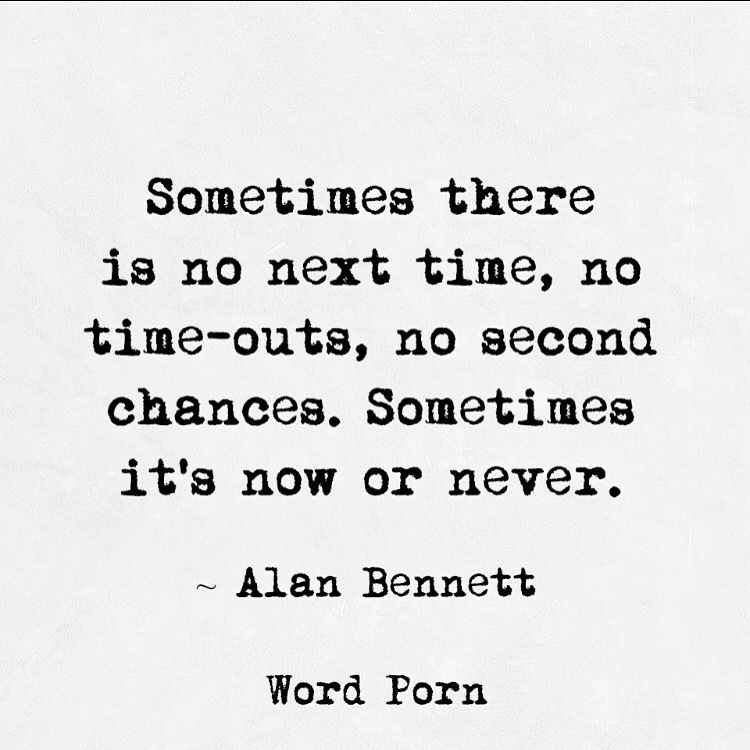 Do not wait for another chance. Do not do wait to do better next time.